will be on display at the Sydney Motorcycle Show, November 20-22 at Sydney Oympic Park. Event Organiser Troy Bayliss said the display would be a popular attraction with visitors of all ages to the Sydney Motorcycle Show. 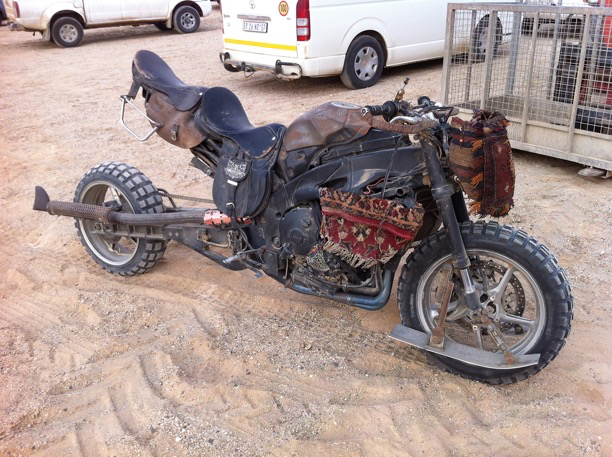 “Although these bikes returned to Australia following the filming of the movie, it is a rare opportunity for the public to have the chance to view them,” Bayliss said. “Anyone who has seen the latest instalment of the Mad Max films is aware of how big a part motorcycles played in the film. To have a selection of the actual bikes used in the movie on display brings a slice of Hollywood to the Sydney Motorcycle Show. 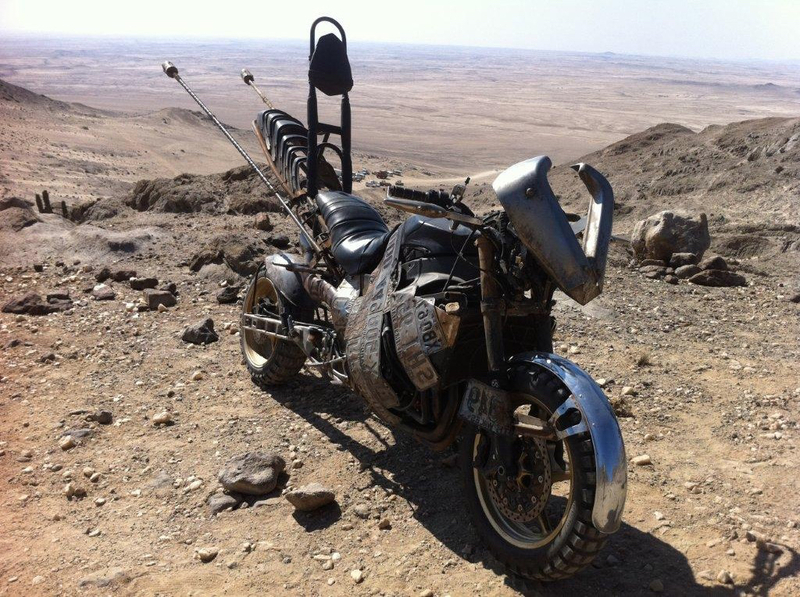 The awe inspiring Yamaha motorcycles all featured in the movie that was shot on location in Namibia, Africa, with many of the stunts performed by Australia’s top FMX and motocross riders. Gall, who was the Motorcycles Specialist Coordinator on the movie will also be a special guest at the Sydney Motorcycle Show and said he was thrilled to able to share his experiences. “This is really rare opportunity for Australians to come out see these bikes up close,” Gall said. “It is fantastic that the producers of the movie Kennedy Miller Mitchell have granted special permisssion for the bikes to be on display at the Sydney Motorcycle Show. The Sydney Motorcycle Show will pay homage to Australia’s successful motorcycle stunt industry and includes an action packed line up of motorcycle stunt entertainment including KTM street bike stunt rider Lukey Luke, Yamaha stunt rider Dave McKenna, renowned freestyle motocross outfit Showtime FMX, World Freestyle Trials Champion Jack Field and for the younger visitors to the show the ‘Epic’ Darren Children’s Stunt Show. 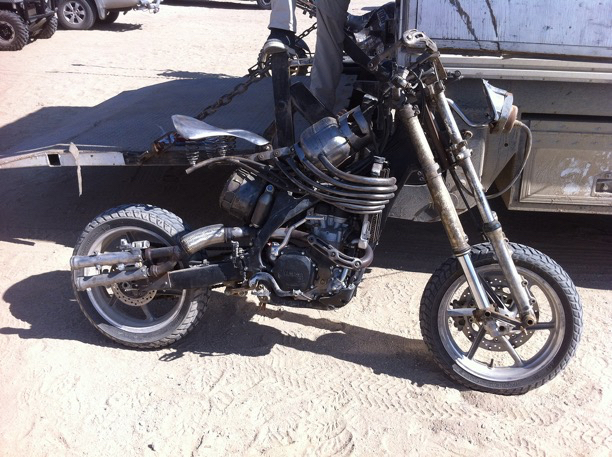 ‘Epic’ Darren recreates stunts inspired by famous stuntmen from around the world and all while riding a mini-bike. In a first for the Sydney Motorcycle Show Darren will attempt to write his way into the Guinness Book of World Records climbing through a tennis racquet while riding a mini-bike on Saturday afternoon. Oset Electric Bikes will host the ‘kids come and try zone’ at the Sydney Motorcycle Show giving children of all ages the opportunity to try the popular bikes in a safe, secure location and under the watchful eye of industry experts. 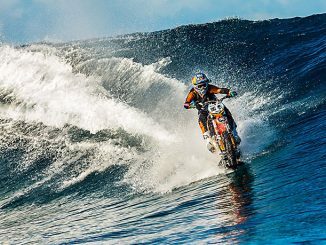 Capping off the celebration to the motorcycle stunt industry Australia’s very own Evel Knievel, Robbie Maddison will be mingling with show visitors on Friday 20th and Saturday 21st November. Visitors to the Sydney Motorcycle Show will be also be invited to participate in motorcycle, UTV and electric bike test rides. THE mighty Yamaha SR400 is back and you can see it in the flesh at the Deus Ex Machina Festival of Thump at Deus HQ in Camperdown tomorrow, April 5.